The time has come to unveil our 2017 Discmania Combine Tour winners! Dreamers from all over the world entered the Combine and now, we are ready to welcome five new members to Team Discmania. The Discmania Combine is a series of skilled events that include: putting, approaching, driving and a scored round of Disc Golf. Each event is worth 100 points, so a total of 400 points are up for grabs. While scoring well is important, we also closely watch how players conduct themselves throughout. We want high character players representing Team Discmania. 2017 saw four Combine events in Missouri, Finland, Michigan and Georgia. From each of these events, we qualified five for a total of 20 players to advance to the interview process. Team Manager, Austin Montgomery, worked closely with the Coach, Avery Jenkins, to comb through our list of hopefuls. Austin then held a series of phone interviews and ultimately chose our new players. Here they are! Bob Kulchuk traveled all the way from New England to compete in our Missouri Combine. He tackled the massive Blue Valley course on his way to ultimately joining Team Discmania. Bob is a dual threat player, as he competes in both the Pro Master division and Pro Open division. Our first ever European Combine led off our European Open action at the famed Nokia DiscGolfPark also known as the Beast. Tuomas Hyytiäinen has been grinding it this year, having played more than 20 PDGA events. He's also known for his big arm - he was even invited in the European Open distance showcase and threw some of the longest shots there. Tuomas is looking to put his skills to the test when he makes his first US appearances at the Las Vegas Challenge and the Memorial in 2018. Here's an earlier article including Tuomas: Team Discmania Grows with Two New Talents. Tuomas Hyytiäinen was one of the 5 throwers at the European Open 2017 distance showcase. Photo: Eino Ansio. Bart Kowalewski already had his foot in the door, being a Discmania Media Partner. But what sealed the deal for him was both his great performance at the Combine and his consistently strong finishes out on tour this year. Electric would be a good way to describe Bart’s game. Dustin Ryalls, hailing from the Sunshine State, made his way North to the Georgia Combine on a mission. It is now safe to say: mission accomplished! Like Bart, Dustin was a 2017 Discmania Media Partner. Dustin is a proof that hard work pays off. The final Combine of the season ended up being the icing on the cake for young AJ Carey. 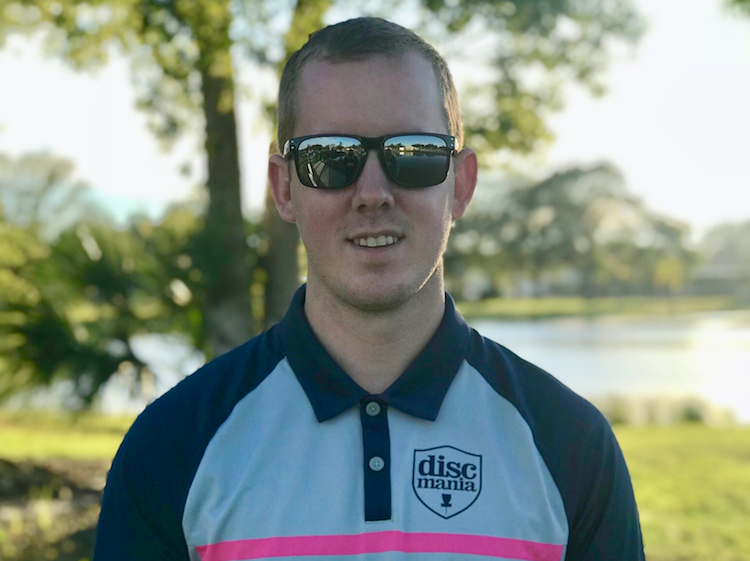 Earlier this season, AJ won the PDGA Amateur World Championships. Adding to his list of great accomplishments this season, AJ also just won his first PDGA Pro tournament. The ceiling is high for AJ, we are looking forward to watching his game continue to grow. If you are a dreamer like Bob, Bart, Tuomas, Dustin and AJ, we look forward to seeing you at one of our 2018 Discmania Combines. We'll release next season's schedule by April 2018. Until then, now is the time to Reinvent Your Game. The path to joining Team Discmania is right in front of you. Do you think you have what it takes?